The Topcon specular microscope: SP-1P introduces a modern ergonomic design and innovative features that simplifies its use and increases its efficiency. A large 10.4 inch rotatable touch panel monitor eliminates the need for a control lever, and can be turned to various angles, for better interaction with the patient. 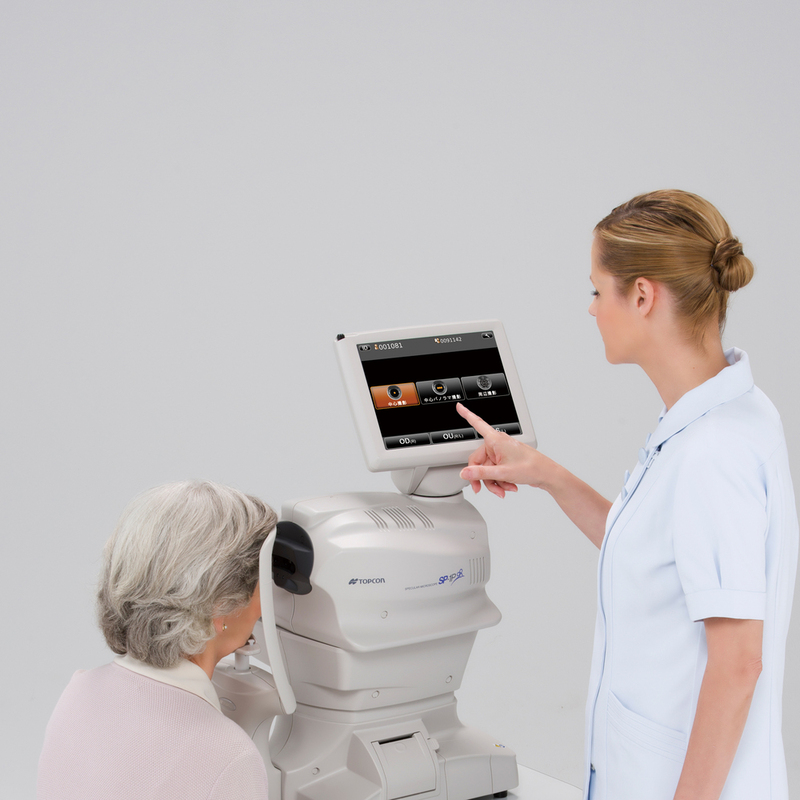 By simply tapping on the center of the patient’ s pupil displayed on the monitor, the SP-1P automatically centers, focuses and acquires the endothelial cell image. The entire operation takes a few seconds and it is fast and smooth, requiring minimum training. The space saving features combined with its ease of use makes the SP-1P the instrument for a new generation in eye care.